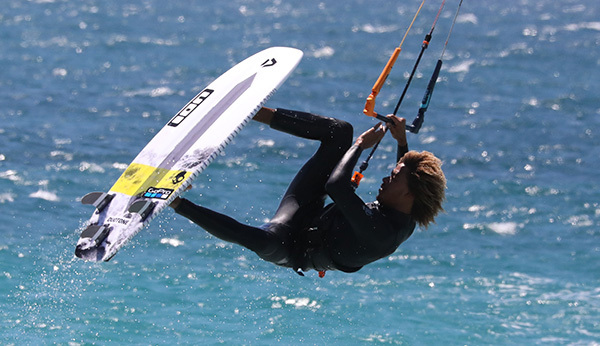 A new race record was broken at yesterday’s Red Bull Lighthouse to Leighton by Frenchman Nico Parlier in perfect kiteboarding conditions with foil board riders owning the podium. 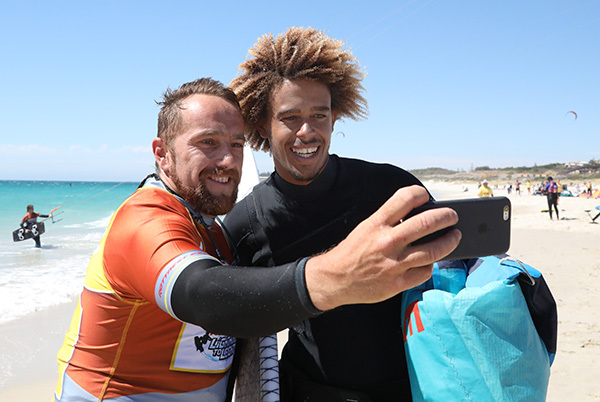 Nico completed the 19km crossing from Rottnest Island to Leighton Beach, Fremantle in just 19 minutes and three seconds, shaving more than three minutes off Englishman Olly Bridge’s previous record. In clear 22 to 24kn wind conditions, 135 kiteboarders made the crossing – 50 of them competing in this now-iconic race for the first time. It was the battle of the Florians for the next fastest places – Florian Gruber from Germany (2013 World Champion in Formula Kite Racing) placed second and 47 seconds behind Nico, and Florian Trittel from Spain placed third. 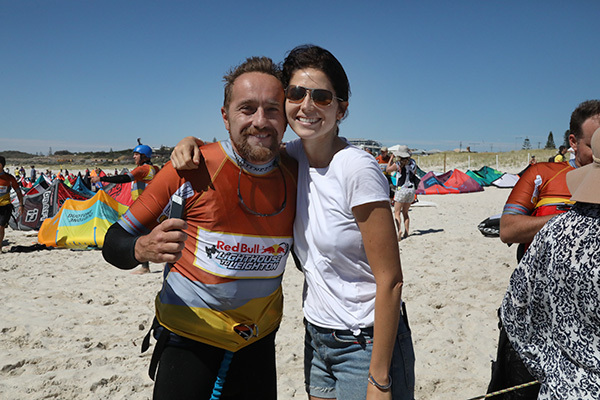 Florian Gruber, competing in his second Red Bull Lighthouse to Leighton found the conditions perfect and said he had a great day. “It was an epic race today. The weather was sunny and wind conditions perfect. Winner and record breaker Nico felt he had an advantage just before the race started when Olly Bridge broke his foil board. He knew with Olly off his foil that the race could potentially be his. 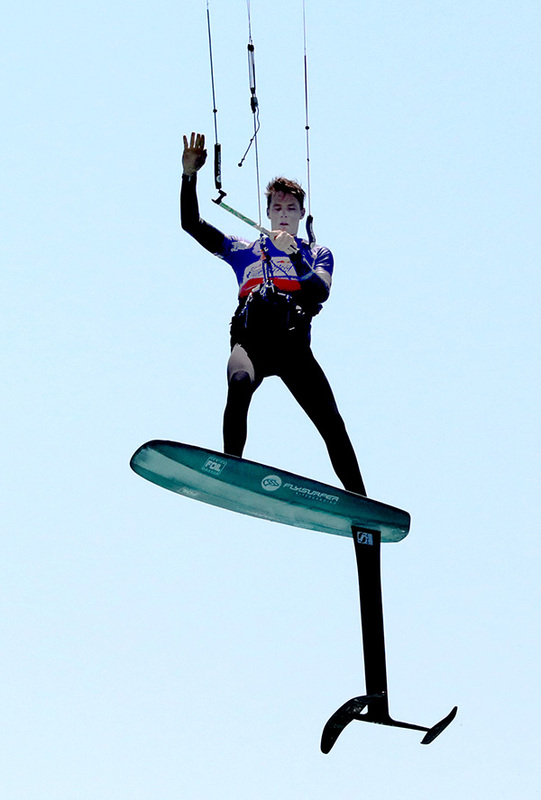 “Right before the start, Olly broke his foil on a jump so he raced on the twin tip. I thought I then had a chance. “It was a very good race, we had a really good wind and flat water. I was afraid there would be a lot of seaweed in the water but it was ok.
UK’s Steph Bridge held her fastest female title for the third year straight, finishing in 24:50. She finished in front of Russia’s Elena Kalinina (winner of the 2016 Hydrofoil Pro Tour) and local racer Theresa McKirdy in third place. 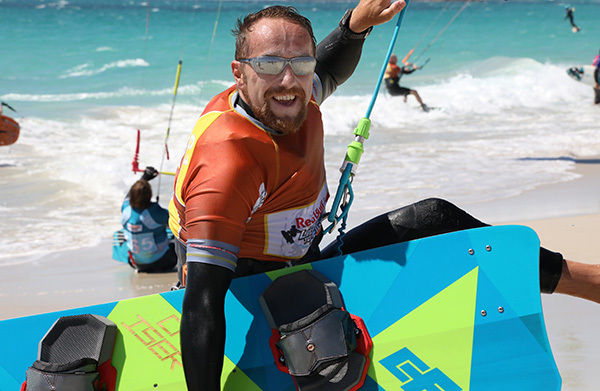 The five-time Kite Race World Champion said it was a tough but amazing race. “There was so much competition this year – it was a really hard race – I felt how hard it was this year. I managed to stay in front of Elena for the whole race – it’s been a big achievement to win again. Slovakian competitor Branky Bielený was pleased with his performance. 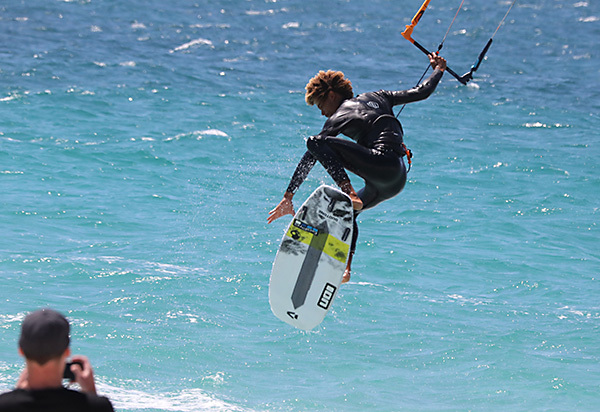 A notable entry this year was AFL Brownlow Medallist and Fremantle Dockers football player Nat Fyfe who is a keen recreational kiteboarder. Competing in his first Red Bull Lighthouse to Leighton, he finished about half way through the pack in 69th in a time of 33 minutes. 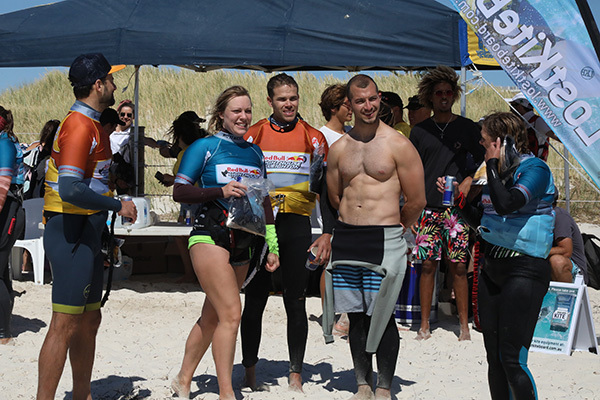 This year saw the largest number of competitors in the history of the Red Bull Lighthouse to Leighton with 135 male and female kiteboarders racing on twin tips, race boards, surfboards and foil boards. 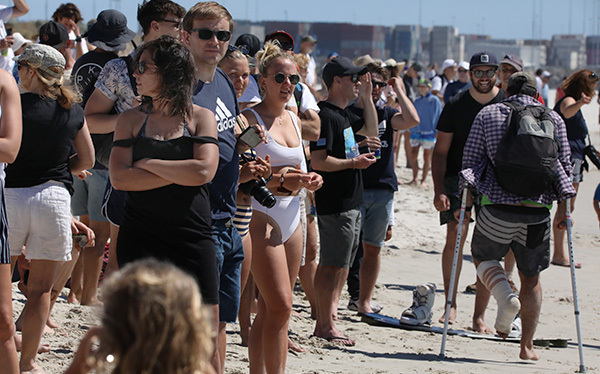 The race was originally scheduled for Saturday (3 December) but wind conditions were not favourable and organisers elected to use the reserve day. The Red Bull Lighthouse to Leighton has equal prize money for the top three males and females (the first race to do so). Nearly A$9000 in total prize money and A$4050 worth of trophies were awarded today, plus the respected Marc Sprod Trophy for the fastest West Australian competitor which was presented to Alty Frisby from Samson.